“The Sub Contract Price” means the entire sum payable under the Sub Contract in respect of the Scope of Works. (b) Unless the Sub Contract otherwise so requires any words or expressions in these conditions which are defined in the Principal Contract shall be construed as having been so defined. (c) In the event that these terms and conditions conflict with any terms and conditions specified in the Purchase Order, the terms and conditions specified in the Purchase Order shall prevail. The Sub Contractor shall carry out and complete the Sub Contract Works subject to and in accordance with the Sub Contract in all respects to the entire satisfaction of the Contractor. The Sub Contractor shall observe, perform, comply with and be bound by all the provisions of the Contract insofar as they relate to and are applicable to the Sub Contract Works or any part thereof and are not inconsistent with or repugnant to the express provisions of the Sub Contract as if the contents thereof had been repeated therein. Insofar as the provisions of the Contract and/or any other document are inconsistent with or repugnant to these Conditions the latter shall apply. Insofar as any terms or conditions shall have been sought to be imposed by any quotation or other document issued by the Sub Contractor such terms and conditions shall be unconditionally excluded from the Sub Contract. (a) The Sub Contractor shall commence the Sub Contract Works on the date specified for such commencement in the Scope of Works and shall complete the Sub Contract Works or any section thereof within the period or periods specified for such completion in the Scope of Works or within any such extended period or periods as may be granted pursuant to these conditions. If no period for completion is stated in the Scope of Works the Sub Contractor shall complete the Sub Contract Works so as to meet the requirements of the programme under the Principal Contract. (b) If the Sub Contractor fails to complete the Sub Contract Works or any section thereof in accordance with Sub clause (a) hereof it shall pay or allow to the Contractor a sum equivalent to any loss or damage suffered or incurred by the Contractor and caused by the failure of the Sub Contractor as aforesaid including but not limited to such liquidated and ascertained damages or costs as the Contractor may be liable to pay or may otherwise incur and which arise in consequence of such failure. The Contractor shall be entitled to deduct any sum payable under this provision from any amount or amounts which may at any time be due or have become due to the Sub Contractor from the Contractor under this or any other Sub Contract or so far as not satisfied by any such deduction shall be recoverable from the Sub Contractor as a debt due and owing to the Contractor. then in any such event the Sub Contractor shall be entitled to such extension of time or times for completion of the Sub Contract Works as may in all circumstances be fair and reasonable, but in any event limited to the extension of time or times granted for completion of the Principal Contract, provided always that it shall be a condition precedent to the Sub Contractor’s right to an extension of time or times for completion that it shall forthwith give written notice to the Contractor as soon as it becomes reasonably apparent that the commencement, progress and completion of the Subcontract Works or any section thereof is being or likely to be delayed including, insofar as the Sub Contractor is able, the causes of the delay together with an estimate of the extent, if any, of the expected delay. The Sub Contractor shall take such action as may be deemed by the Contractor and Principal Contractor to be reasonable to minimize or mitigate the consequences of any such delay. The Sub Contractor has had an opportunity of inspecting the physical conditions (including sub-surface conditions) and other conditions, of or affecting the site and shall be deemed to have fully acquainted himself with the same and to have obtained all necessary information as to risks, contingencies and all other circumstances which may influence or affect the execution of any work. No failure on the part of the Sub Contractor to discover or foresee any such condition, risk, contingency or circumstance, whether the same ought reasonably to have been discovered or foreseen or not shall entitle the Sub Contractor to any additional payment or to any later date for completion of the Sub Contract Works. The Sub Contractor shall not and shall not be entitled to rely upon any survey, report or other document prepared by or on behalf of the Contractor regarding any such matter as is referred to in this Clause and the Contractor makes no representation or warranty as to the accuracy or completeness of any such survey, report or document or from any representation or statement, whether negligently or otherwise made, therein contained. (a) Except insofar as the Principal Contract provides for the provision of such attendances by the Principal Contractor, the Sub Contractor shall supply at its own cost all water, lighting, power, workshops, sheds or other buildings, machinery, mechanical plant, tools and equipment for its employees and workforce at such places on the site as the Contractor or Principal Contractor shall appoint unless otherwise indicated. (a) The Sub Contractor shall be entirely responsible for the accurate setting out of the Sub Contract Works and for ensuring that the positions, levels and dimensions are correct according to the drawings or such other relevant documents, notwithstanding that the Contractor or Principal Contractor may have assisted the Sub Contractor therein. (b) The Sub Contractor shall continuously provide competent supervision for the Sub Contract Works and shall employ only persons who are fit and skilled in the work assigned to them. The Contractor shall have the right of approval of the Sub Contractor’s employees, sub-contractors and other persons performing the Sub Contract Works on behalf of the Sub Contractor and any such employees, sub-contractors and other persons determined by the Contractor to be in any manner unsuitable shall be promptly replaced by the Sub Contractor upon request of the Contractor. Contract Works clean and in a condition to the satisfaction of the Contractor and Principal Contractor. (b) The Sub Contractor shall ensure that all its employees, workforce and suppliers shall not deposit any earth, spoil, water etc. on any public highway for the cleanliness of which the Contractor is responsible, and the Sub Contractor shall indemnify the Contractor against and from any costs arising out of or in connection with any breach of the obligation above by the Sub Contractor.  The Contractor, Principal Contractor and persons authorised by them shall at all reasonable times have unrestricted access to the Sub Contractor’s works, all other areas of the site and to the Sub Contractor’s premises where work or materials are being executed, prepared or stored prior to inclusion into the Sub Contract Works. (ii) instructed in writing to the Sub Contractor by the Contractor on the Contractors site instruction form. (b) If the Sub Contractor receives a written instruction otherwise that under Sub clause (a) hereof or any oral instruction he shall forthwith refer the same to the Contractor which shall issue directions thereon within a reasonable time and the Sub Contractor shall only act upon such instruction as is issued in writing by the Contractor on the Contractors site instruction form. For the avoidance of doubt a copy of the Contractor’s site instruction form shall be supplied upon request to the Sub Contractor’s accounts department. (a) All variations to the Sub Contract Works authorised pursuant to Clause 10 hereof shall be valued in the manner provided herein and the value thereof shall be added to or deducted from the Sub Contract Price. (b) The value of all variations shall be ascertained by measurement and by reference to the rates and prices specified in the Sub Contract or rates and prices analogous thereto. In the event that there are no such rates and prices or if they are not applicable then such value shall be ascertained by valuation which in the opinion of the Contractor is fair and reasonable having regard to all the circumstances. Sub Contract to the end of the relevant period. (ii) The aggregate of any sums which have been paid or are due for payment by way of instalments, stage or periodic payments during the period from the commencement of the Sub-Contract to the end of the relevant period. (b) The aggregate of the instalments or stage or periodic payments, which have become due. (ii) The making of a claim by the Sub Contractor, whichever is the later. (b) the making of a claim by the Sub Contractor, whichever is the later. give notice to the Sub Contractor specifying the amount (if any) of the payment he has made or proposes to make, specifying to what the payment relates and the basis on which that amount is calculated. (h) Any notice of intention to withhold payment shall be given not later than 3 days before the final date for payment determined in accordance with paragraph (f) above. he considers to be due and the basis on which it is, or they are calculated; together with any details reasonably necessary to substantiate such amount. “relevant period” means the period stated in Clause 12(a).“value of work” means an amount determined in accordance with the Sub Contract. (k) Retention at the rate of 5% of the gross value of any payments made in accordance with this Clause shall be deducted from such payments and retained by the Contractor until the Principal Contract Works have reached practical completion. In the payment following the issue of a Practical Completion Certificate for the Principal Contract Works the rate of retention deducted by the Contractor shall be reduced to 2.5% of the said gross value, which shall be retained until the issue of a Certificate of Making Good Defects for the Principal Contract Works. (m) The Contractor may deduct from any sum paid or payable hereunder to the Sub Contractor any amount, levy or other sum that the Contractor may be or become liable to deduct from or pay on account of such sum paid or payable to the Sub Contractor hereunder by reason or Act of Parliament or Statutory instrument, rule or regulation made hereunder which may be or become law during the subsistence of the Sub Contract. (n) The Sub Contractor shall at his own expense measure the Sub Contract Works and make claims in accordance with this Clause. (2) Notwithstanding anything to the contrary elsewhere in these terms and conditions, if the Client or the Principal Contractor is insolvent as defined in any of the clauses (i) (ii) or (ii) below the Contractor shall not be obliged to make any further payment to the Sub Contractor of any amount which is due or may become due to the Sub Contractor unless the Contractor has received payment in respect thereof from the Client or Principal Contractor and then only to the extent that such receipt relates to Sub Contract Works has been performed by the Sub Contractor. under the law of Northern Ireland or of a country outside the United Kingdom. on the sequestration of his estate under the Bankruptcy (Scotland) act 1985 or when he grants a trust deed for his creditors. The Sub Contractor shall be entirely responsible for the safe execution of the Sub Contract Works and shall comply with all laws and regulations having the force of law in respect thereof and in particular with any site safety regulations with which the Contractor may be required or may have been required by the Principal Contractor to comply and the Sub Contractor shall indemnify the Contractor against all consequences whatsoever of any breach thereof. shall comply in all respects with all applicable regulations. (a) The Sub Contractor shall be responsible for the protection of the Sub Contract Works against any loss and damage from whatsoever clause and shall take all necessary precautions in the execution of the Sub Contract Works to prevent any damage to any part of the works under the Principal Contract or the property of the Contractor, Principal Contractor, Client, or any third party. (c) professional indemnity covering (without limitation) all its liability hereunder whether for breach of contract negligence or otherwise in respect of defects or insufficiency in design appropriate to the site and Sub Contract Works, and shall from time to time whenever so required produce to the Contractor satisfactory evidence of such insurance cover. (d) any loss or damage caused to or by or resulting from any person employed or engaged by the Sub Contractor in respect of personal injury arising out of or in the course of his or her employment. The Sub Contractor shall maintain and protect the Sub Contract Works in perfect condition and shall make good at its own cost and expense every defect shrinkage or other fault from whatever cause arising until the expiry of the Defects Liability Period specified in the Sub Contract and Principal Contract (or if not so specified, 12 months from practical completion) or until the issue of a Certificate of Making Good Defects under the Principal Contract, whichever is the later. If the Sub Contractor shall fail at any time to remove any defective work and materials and make good the same within 7 days from receipt of an instruction from the Contractor to do so the Contractor may make good the defects or employ others to do so and the Sub Contractor shall pay to the Contractor any costs and expenses incurred therein including the costs of locating the defective work or materials and re- instatement by all trades affected thereby and any such costs and expenses shall be set off against any amounts due or to become due to the Sub Contractor or so far as not satisfied by any such set off shall be recoverable from the Sub Contractor as a debt due and owing to the Contractor. the employment of the Sub Contractor shall be determined forthwith and the Sub Contractor shall be entitled to be paid in accordance with Clause 12 of these Conditions. under this Sub Contract shall be forthwith automatically determined and thereupon no further payments shall be due from the Contractor to the Sub Contractor until the practical completion, determination or abandonment of the Principal Contract. The Contractor may take possession of all materials, machinery, plant, tools, appliances and other things whatsoever brought on to the site by the Sub Contractor and may use them for the purpose of executing, completing and maintaining the Sub Contract Works and may, if it considers fit sell all or any of them and apply the proceeds in or towards the satisfaction of any sums otherwise due to the Contractor from the Sub Contractor. If the Sub Contractor shall at any time bring any materials, machinery, plant, tools, appliances and other things whatsoever onto the Works it shall be deemed that the above right has been reserved to the Contractor in respect of all and each of them. (b) All costs, charges and expenses so incurred in completing the Sub Contract Works together with a reasonable sum by way of, but not limited to, preliminary costs, overhead charges and amounts estimated at the sole discretion of the Contractor for adopting the Sub Contractor’s liability for rectifying defects under Clause 17 hereof and/or latent defects which may arise during the limitation period under the Limitations Act shall be set off against any monies due or to become due on any account whatsoever to the Sub Contractor and so far as not satisfied by any such set off shall be recoverable from the Sub Contractor as a debt due and owing to the Contractor without prejudice to any other claim or right of action which the Contractor may have against the Sub Contractor. Unless so specified in the Sub Contract, the Sub Contract Price is fixed for the duration of the Works and shall not be subject to variation to take account of any increase or decrease in the cost to the Sub Contractor of performance of the Sub Contract. (a) The procedures for the selection and appointment of an adjudicator, bestowing powers to the adjudicator and making provisions in respect of the adjudicator’s decisions shall be in accordance with Part 1 of The Scheme for Construction Contracts (England and Wales) Regulations 1998 except that the Nominating Body shall be THE ROYAL INSTITUTE OF CHARTERED SURVEYORS. In the event of any dispute or difference between the Contractor and the Sub Contractor, whether arising during the execution or after completion or abandonment of the Sub Contract works or after the determination of the employment of the Sub Contractor hereunder in regard to any matter of whatsoever nature arising out of the Sub Contract or in connection therewith, which shall be substantially the same as a matter which is a dispute or difference between the Contractor and the Principal Contractor under the Principal Contract, the Contractor shall be entitled to require the Sub Contractor to be joined as a party to any arbitration of such dispute. The Sub Contractor hereby agrees to be so joined and that such dispute or difference with the Contractor shall be referred to the arbitrator appointed or to be appointed pursuant to the provisions of the Principal Contract between the Principal Contractor and the Contractor and in any case the award of such arbitrator shall be final and binding on the Sub Contractor. (a) The Sub Contractor shall not, during his appointment hereunder or at any time after its expiry or termination for any reason disclose to any person or otherwise make use of any confidential information which he has or of which he may in the course of his employment become possessed relating to the Contractor, the Principal Works or Sub Contract Works or otherwise, nor shall he disclose to any person whatsoever (save his insurers or professional advisers) anything contained in this Sub Contract, without the prior written authority of the Contractor. These restrictions shall continue to apply without limitation in point of time unless and until such information comes properly into the public domain through no fault of the Sub Contractor. (b) The Sub Contractor shall not, during his appointment hereunder or at any time for one year after its expiry or termination for any reason, either on its own account or in conjunction with or on behalf of any person, firm or company, deal with, solicit the custom of or endeavor to entice away from the Contractor the business or work of any party that is or has been the Principal Contractor or Client under the Sub Contract. The Sub Contractor shall not assign the Sub Contract Works or any part thereof, or assign any right arising under the Sub Contract or these terms and conditions without first obtaining the written consent of the Contractor. The Sub Contract shall be construed and operate as an English Contract and in conformity with English Law.